Mediation is a useful tool in Family Law cases. It helps parties understand each side, identify the issues that need resolution, collaborate to resolve the issues, and amicably determine the outcome of the case. Most cases that mediate are resolved in mediation. Mediation is a process through which an uninterested third party (the mediator) facilitates communication and problem solving between the parties in order to reach a mutually agreed upon resolution (an agreement). If your case is referred to mediation by the court, the mediator will contact you to schedule a mediation orientation. Only the issues referred by the court may be mediated. The cost is free for the parties. If you want to hire a mediator with Hadley Law, PLC, call the office to schedule a mediation orientation (which is a free service). The parties decide what issues they want to mediate. There is an hourly charge for the mediator’s time that is paid by the parties. At the first meeting, the mediator will typically begin by welcoming the participants. Participants can include the parties, their attorneys, and anyone else the parties agree to include. The participants will introduce themselves and the mediator will explain the process. After introductions, some mediators ask the participants to separate, while other mediators will keep them together. The participants typically start by telling the mediator what brought them to mediation and to identify what they hope to accomplish. Through the process, the participants will often negotiate and collaborate to resolve the issues they identified. If the parties reach an agreement, the mediator, the parties, or the attorneys will draft an agreement to sign. The parties can reach an agreement on some or all of the issues. If the parties do not reach an agreement or only reach an agreement on some of the issues, the parties might agree to meet again for mediation, there may be negotiations between the parties or their attorneys, or the case may proceed to trial. Mediation can be useful at any stage of a family law case. In the beginning of a case, mediation can be useful to identify the issues and obstacles to achieving a resolution. Sometimes, the parties use mediation when negotiations have stalled. Before trial, some people are more willing to make larger concessions than in the beginning of the case in order to avoid the costs, hassle and emotional toll of a trial. An attorney who mediates cannot provide legal advice to the parties. Therefore, it is a good idea to have an attorney review an agreement before you sign it. A signed agreement is a contract and you will not be released from fulfilling its obligations just because you no longer agree or did not seek legal advice. 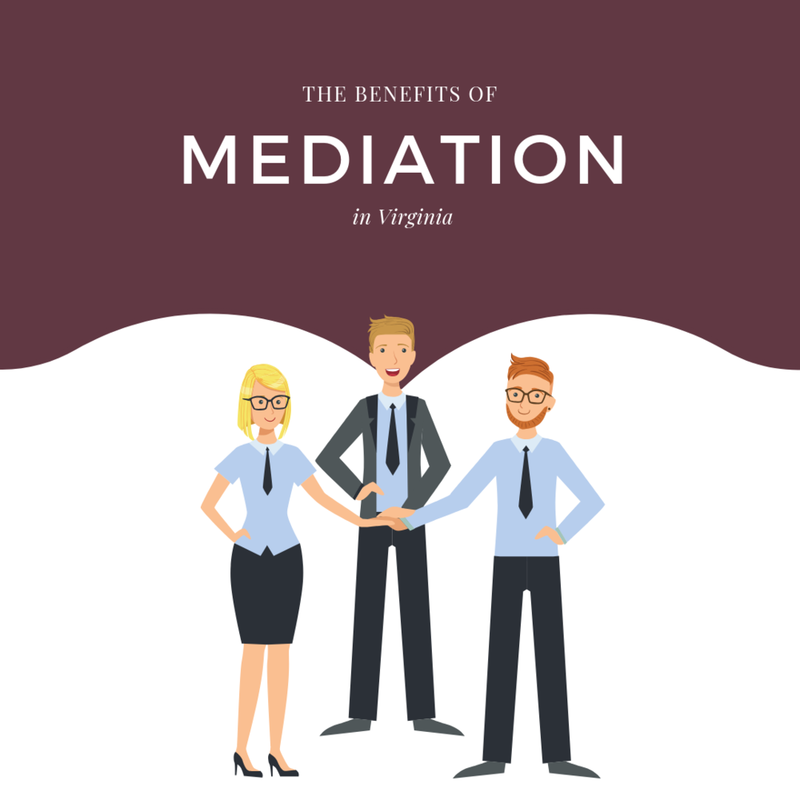 Laura is a certified Mediator in Virginia.